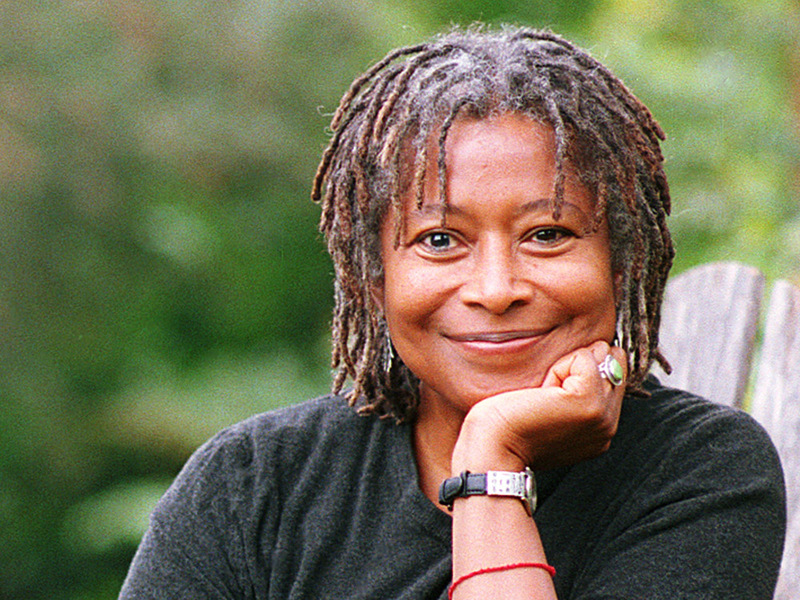 NEW YORK (CBS/AP) Alice Walker's ``The Color Purple'' started life as a novel - a Pulitzer Prize winner, no less - and became a movie and a Broadway musical. Now, it's coming out as an e-book. Open Road Integrated Media, the digital company co-founded two years ago by former HarperCollins CEO Jane Friedman, has reached an agreement with Walker to release the electronic version of "The Color Purple" and most of her other work. New editions of 1984"s "The Color Purple" and the novels 'The Temple of My Familiar" and "Possessing the Secret of Joy" were released Tuesday. On Nov. 22, eight more books will be published. The e-books will include author interviews, photographs and personal documents. "`I love reading a good book while flying through the air," the 67-year-old Walker said in a statement. "I've traveled all my life and have visited many of the faraway places I dreamed of as a child: India, Australia, Bali, South Africa, Iceland, etc. On each journey I've carried books. Books that taught me a lot, while engaging my sense of wonder, but that got heavier and heavier! Open Road promises to be a way for my books to accompany travelers on their own journeys of exploration and learning." Open Road has previously acquired e-rights to such best-sellers as Pat Conroy's "The Prince of Tides" and William Styron's 'Darkness Visible" by offering royalty rates of 50 percent, double what traditional publishers usually offer, and by promising aggressive promotion.